City icon One Poultry, EC2, is being repositioned as a “design-led HQ creative office” in the heart of London’s financial district. The move is symbolic as the City of London looks to remarket itself as the strength of financial services wanes and the TMT sector strengthens. 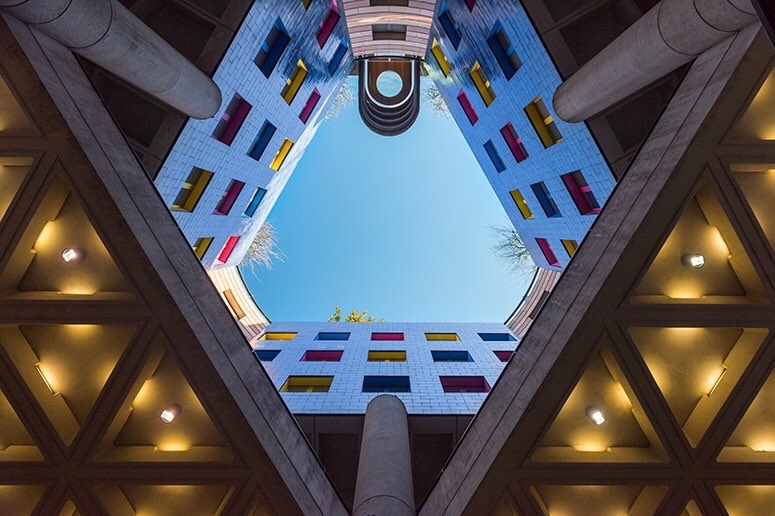 The Grade II* listed postmodernist building designed by Sir James Stirling, which sits atop Bank Underground station and neighbours the Bank of England and the Royal Exchange, is being refurbished to attract the next generation of creative businesses. London-based asset manager Aermont Capital has appointed Jacob Loftus’ General Projects as development manager to reposition the asset, which will deliver 110,000 sq ft of “inspirational” offices with gallery-style spaces and ceiling heights of up to 3.8m. Some 25,000 sq ft of new independent retail and leisure activities will be added at ground level. A new 4,000 sq ft reception will feature bespoke artwork, while Coq D’Argent, the D&D London-operated restaurant, will remain on the top floor and will run a programme of leisure and food-based events in the building. An underground complex will offer cycle parking, a cycle repair shop and shower facilities. The area has come to represent the next stage of the City’s evolution, with Bloomberg’s new European headquarters designed by Foster + Partners on one side of One Poultry and Soho House Group’s new hotel and members’ club, Ned London, on the other side in a Grade I listed building. Each project will deliver a new leisure offering to the City, with restaurants secured by Soho House including Cecconi’s, Malibu Kitchen and Millie’s Lounge, which serves American and British classics such as fish and chips 24 hours-a-day.